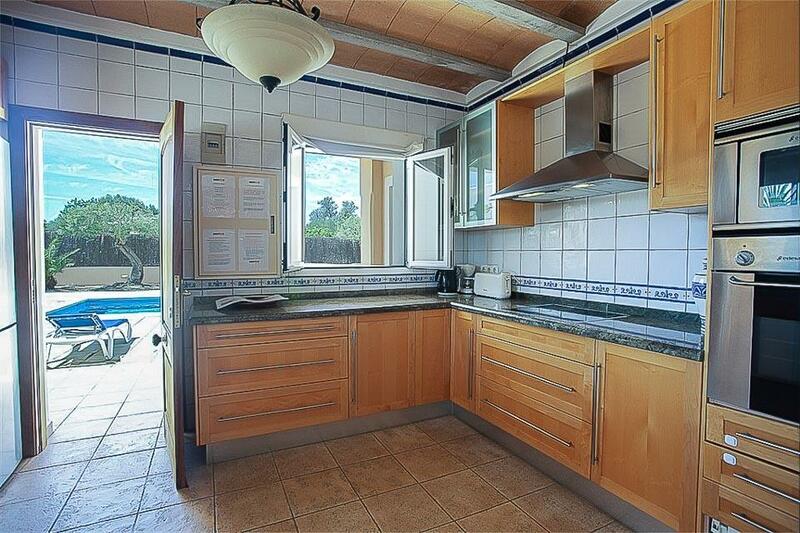 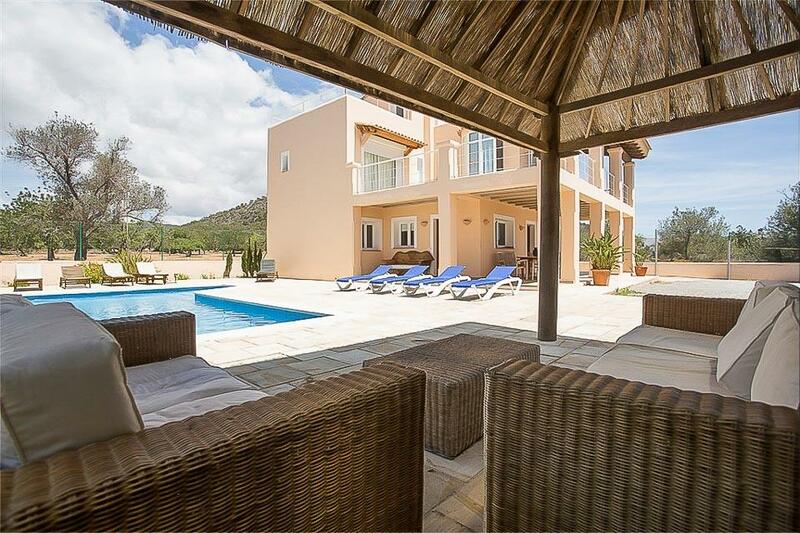 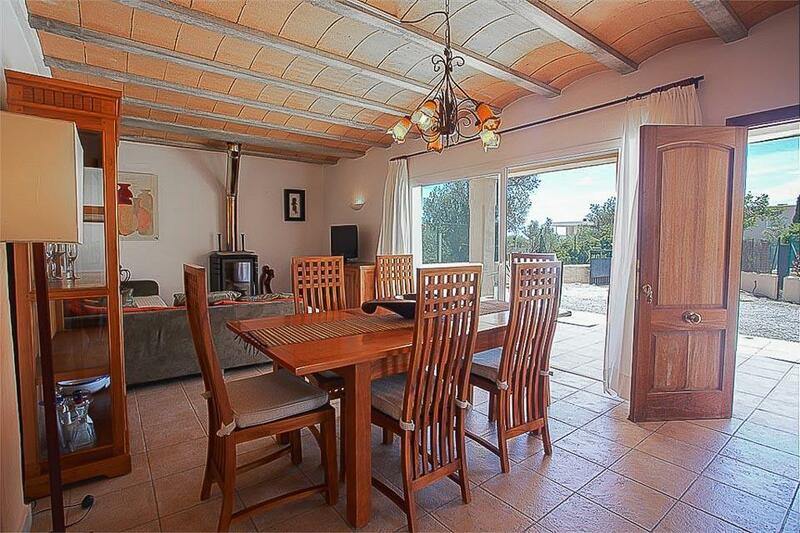 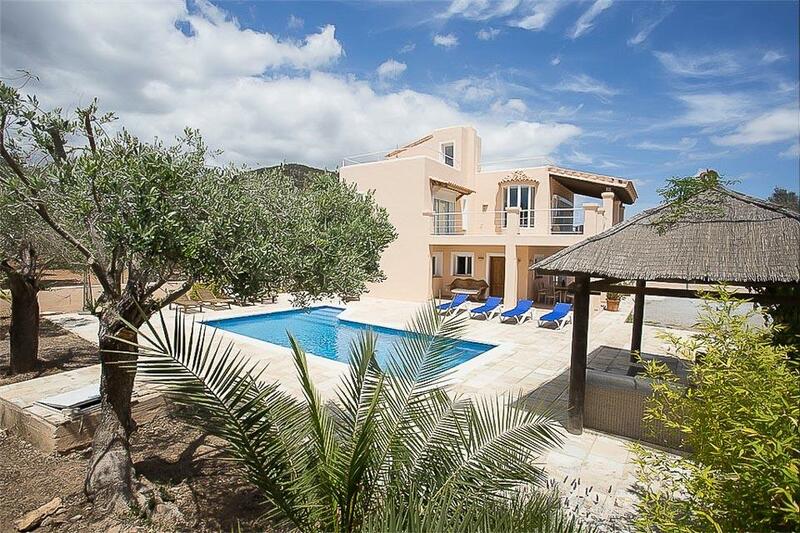 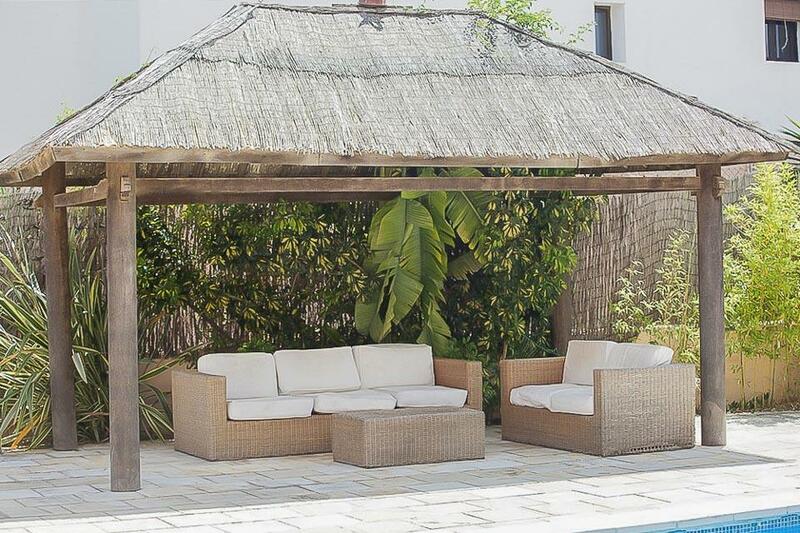 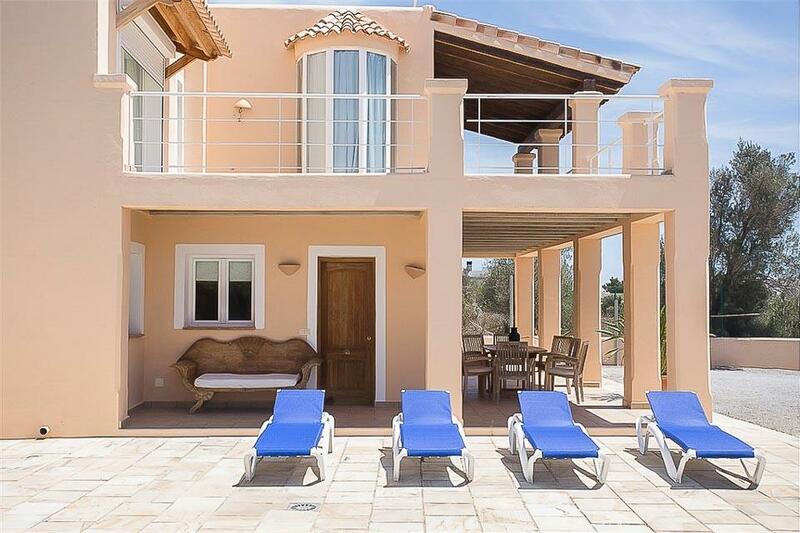 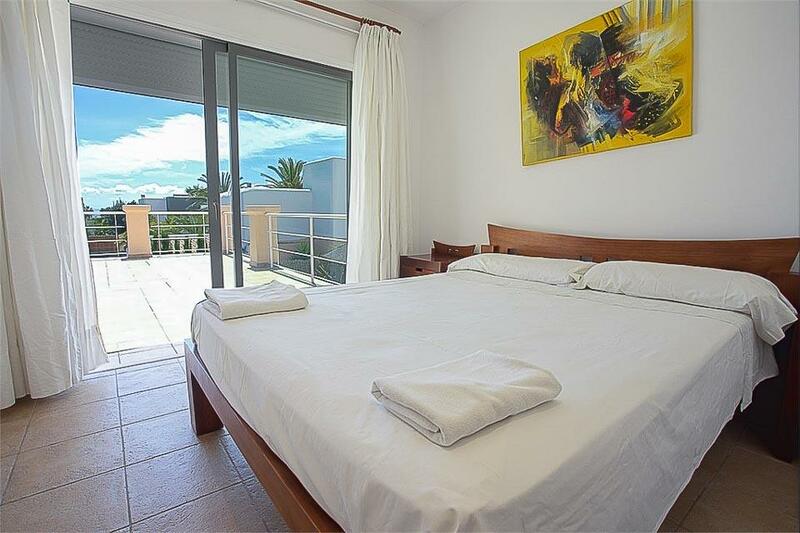 Villa Tom is a modern and comfortable villa near Playa den Bossa. 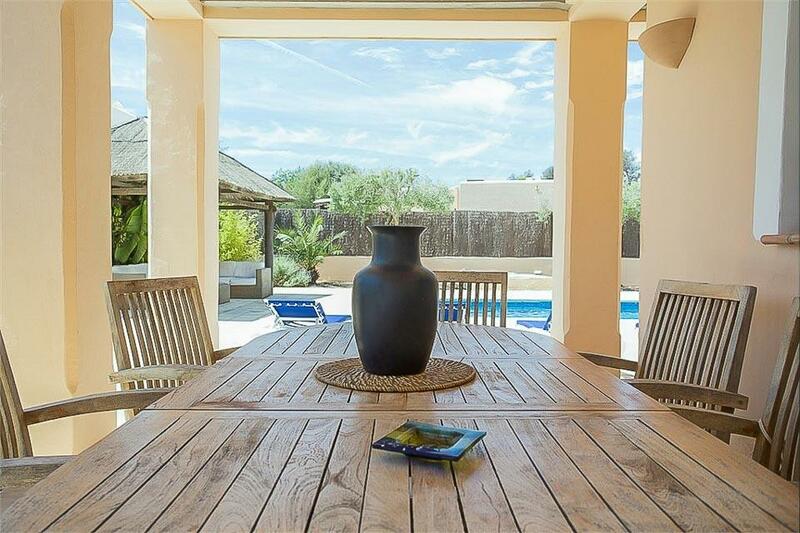 Villa Tom is a modern and comfortable villa near Playa den Bossa. 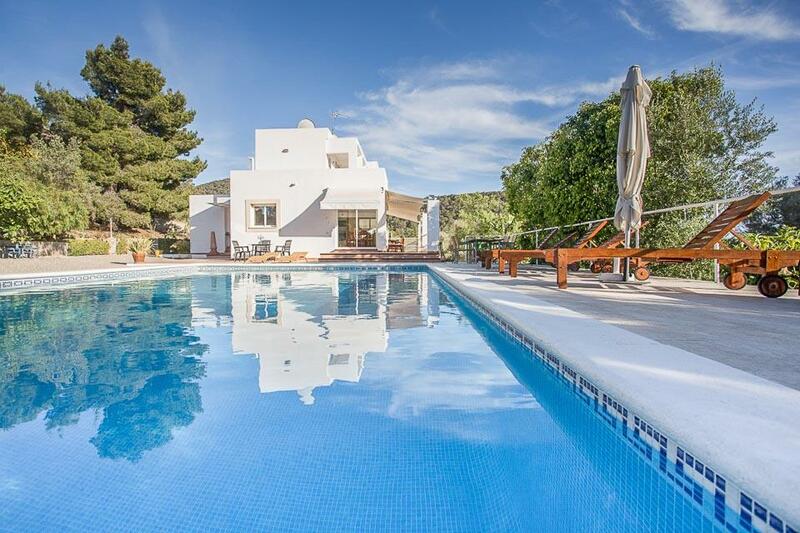 The convenient location of Sa Carroca is ideally situated for a hassle-free holiday base which is also within easy reach of Ibiza Town. 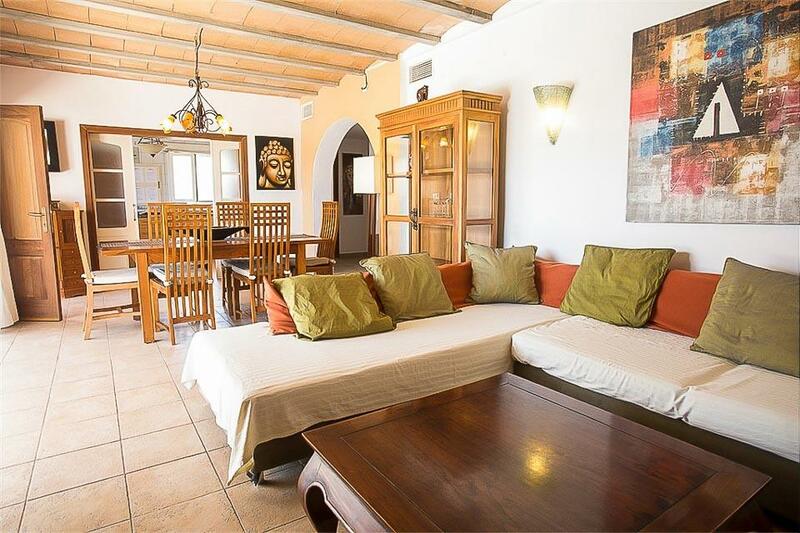 Villa Tom is set back from the road and the entrance to the property is through a large gate leading to ample parking space. 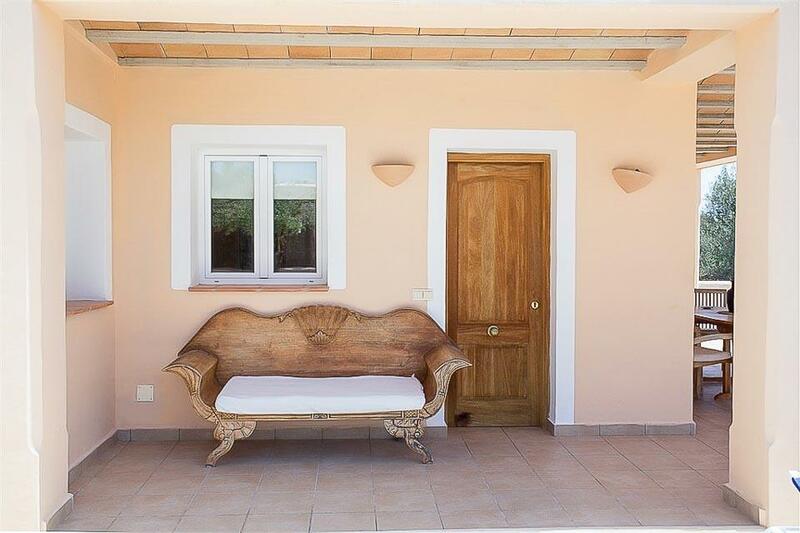 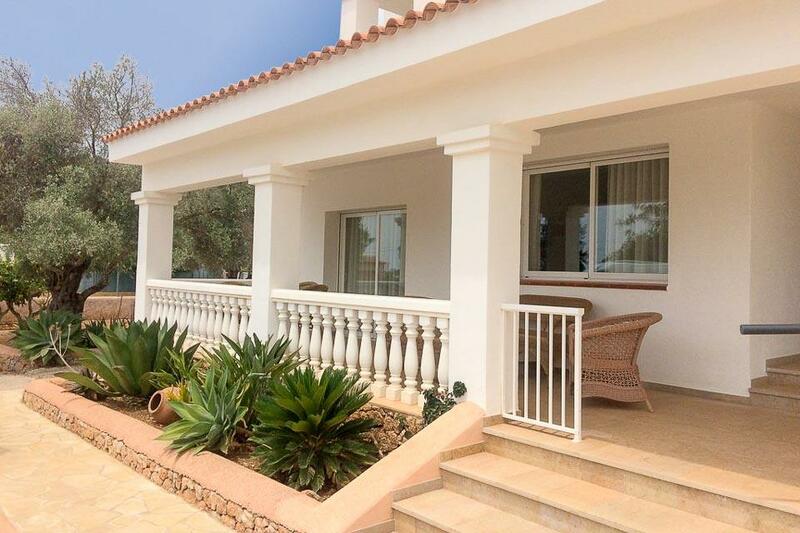 The main door to the villa leads you into a comfortable living and dining area to your right and a well equipped kitchen to your left, with a door leading out to the pool area. 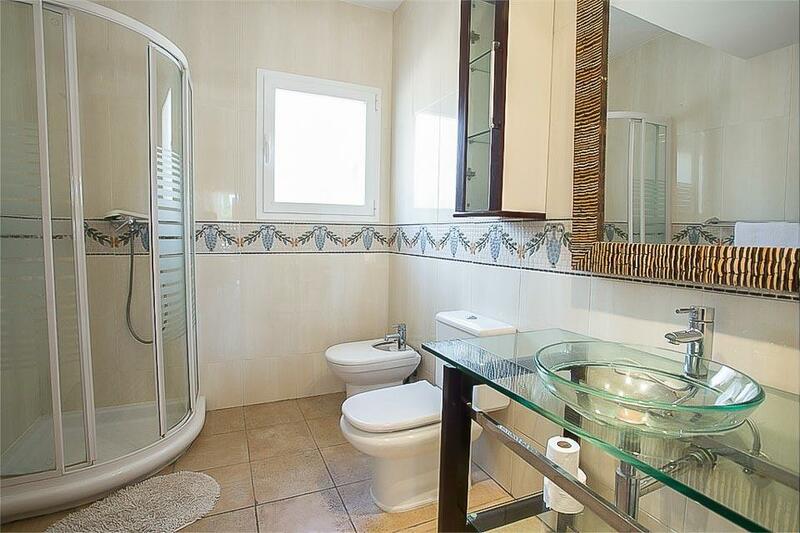 Also on the ground floor are two bedrooms, one twin and one double, both with stylish en-suite shower rooms. 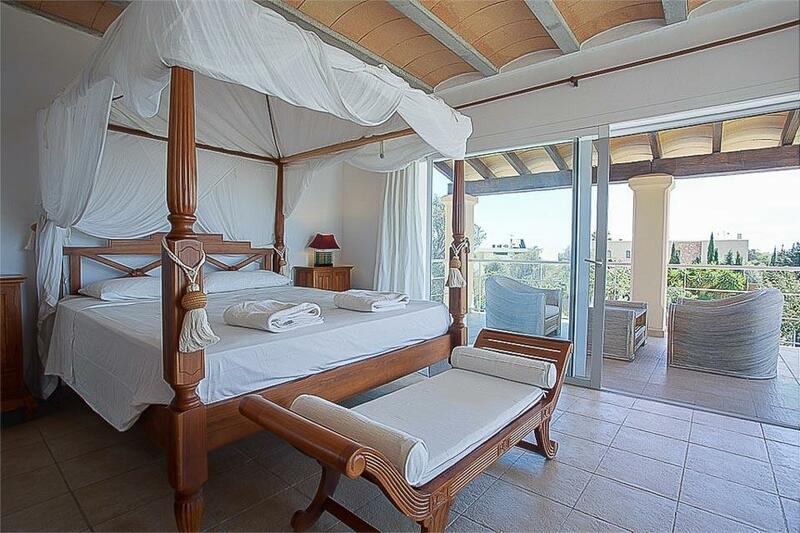 The first floor of the villa has two further bedrooms. 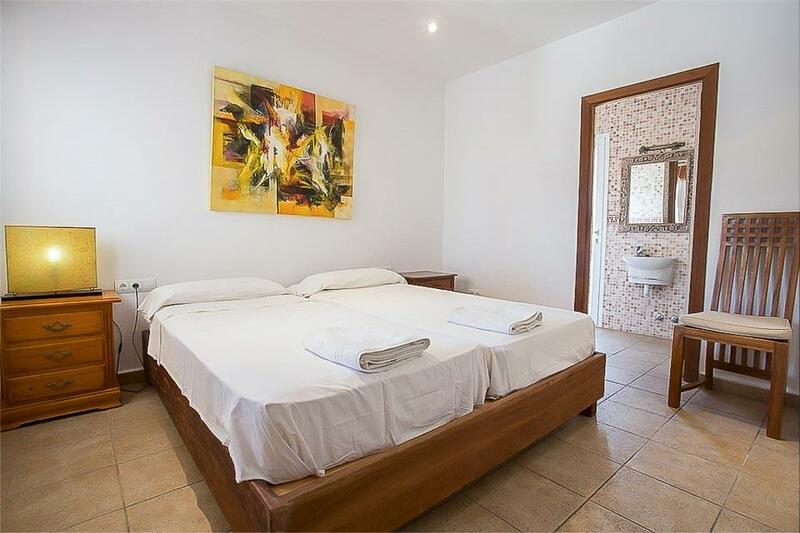 One is a twin bedroom with an en-suite shower room and access to a shared terrace and the second is a fabulous master bedroom with a four poster bed, a huge walk-in wardrobe and a shower room. 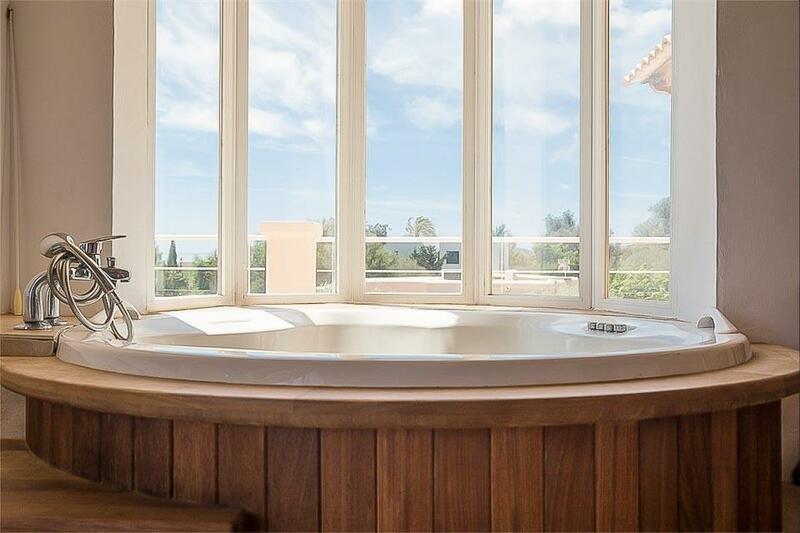 The master bedroom also has the wonderful, quirky feature of a circular Jacuzzi bath positioned by the window overlooking the pool area. 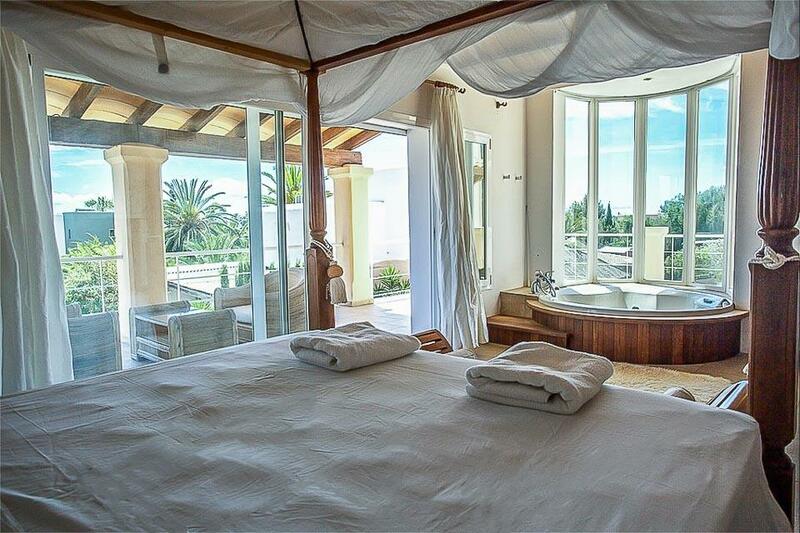 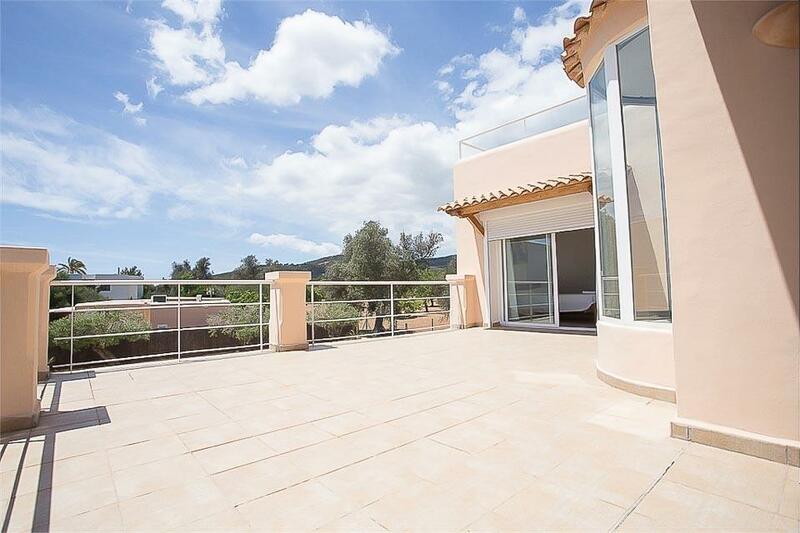 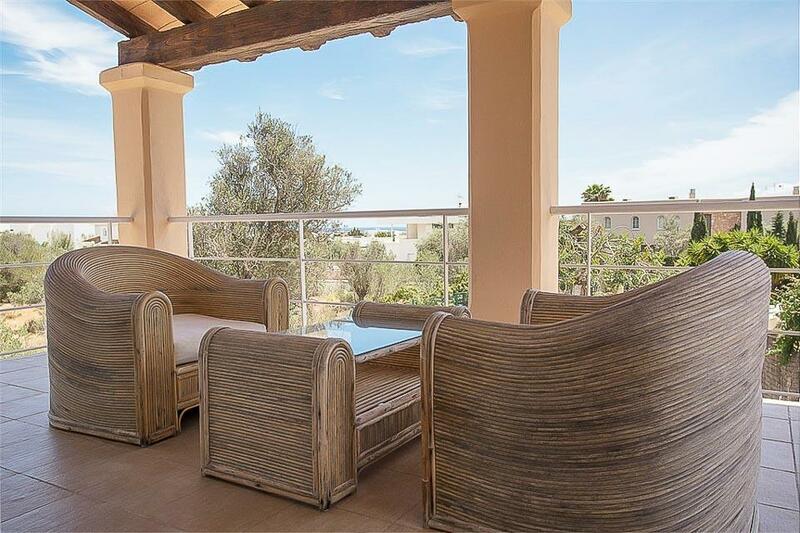 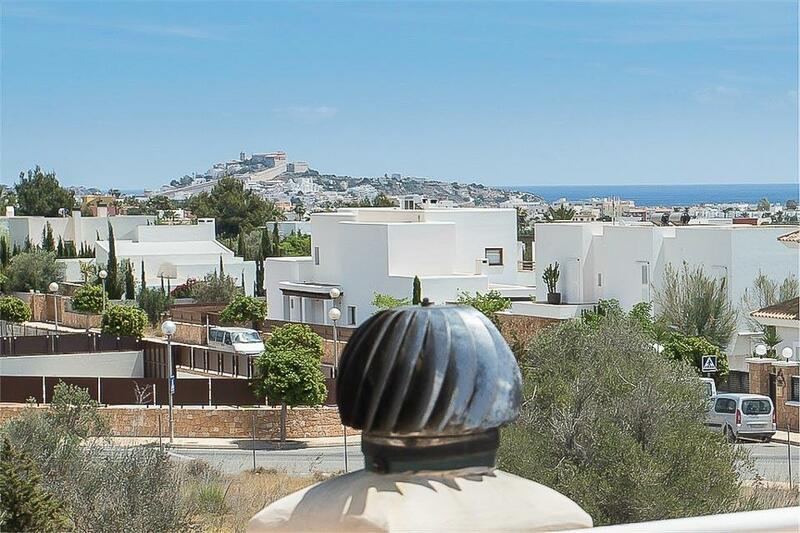 Glass doors open onto the same first floor terrace with wonderful views across to D’alt Vila in Ibiza Town and on a clear day you can see the little sister island of Formentera. 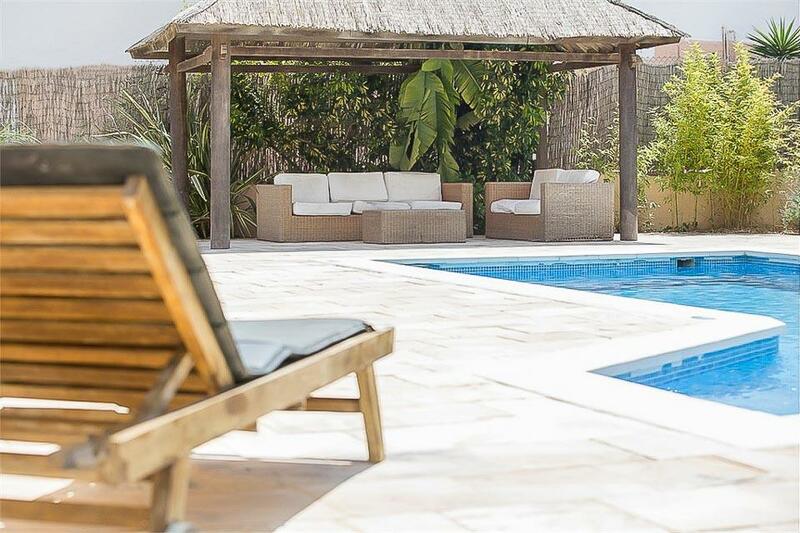 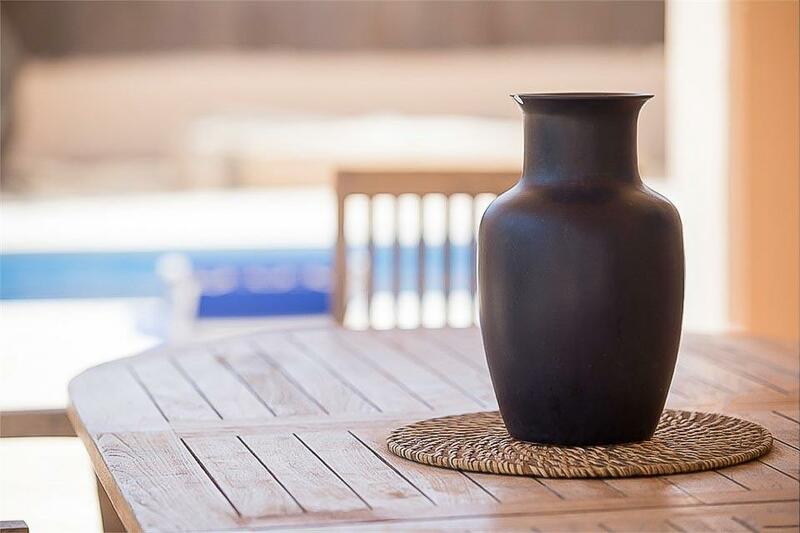 The outside area of Villa Tom is a truly relaxing space, backing onto open fields with a lovely, large pool, a shaded terrace with dining table and a Balinese hut style canopied area with comfortable seating for respite from the sun, should you want it!